Author, journalist, technology activist, and Boing Boing co-editor Cory Doctorow presents this year’s Richard W. Gunn Memorial Lecture. Free! Seating is limited, so arrive early to ensure a spot. Jayhawk Ink bookstore will have copies of several of Doctorow’s books available to purchase in Alderson Auditorium (as well as the bookstore on Level 2) and get signed by the author after the talk. This is Doctorow’s third visit to KU: first in 1999 when his story “Craphound” (his first published story) was a finalist for the Theodore Sturgeon Memorial Award, and next in 2009 when his novel Little Brother won the John W. Campbell Memorial Award. Don’t miss hearing one of the most interesting thinkers of our time talk about some of our most-relevant issues! 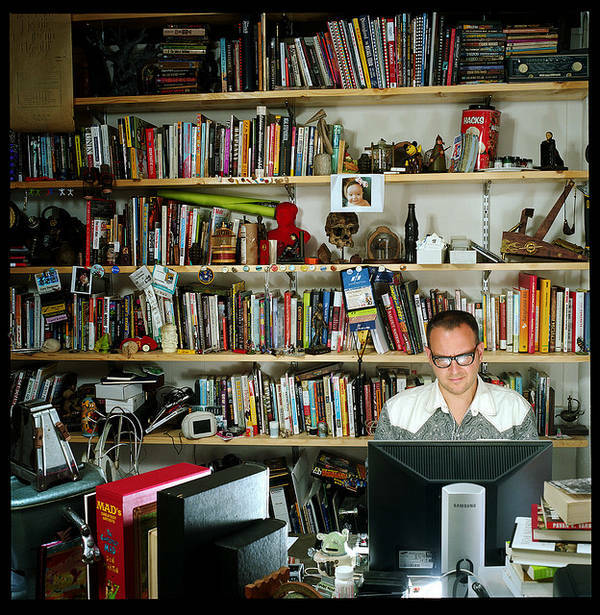 Cory Doctorow is a science fiction author, activist, journalist, and technology activist. He is the co-editor of the popular weblog Boing Boing, and a contributor to The Guardian, the New York Times, Publishers Weekly, Wired, and many other newspapers, magazines, and websites. He was formerly Director of European Affairs for the Electronic Frontier Foundation, a non-profit civil-liberties group that defends freedom in technology law, policy, standards, and treaties. He holds an honorary doctorate in computer science from the Open University (UK), where he is a Visiting Senior Lecturer; in 2007, he served as the Fulbright Chair at the Annenberg Center for Public Diplomacy at the University of Southern California. Doctorow’s novels have been translated into dozens of languages and are published by Tor Books and simultaneously released on the Internet under Creative Commons licenses that encourage their re-use and sharing, a move that increases his sales by enlisting his readers to help promote his work. His work has won the Locus, Sunburst, Ontario Library White Pine, Prometheus, Indienet, and John W. Campbell Memorial awards, and been nominated for the Hugo, Nebula, Theodore Sturgeon Memorial (for “Craphound“), and British Science Fiction Awards. His latest young-adult novel is Pirate Cinema, a story of mashup guerillas who declare war on the entertainment industry. 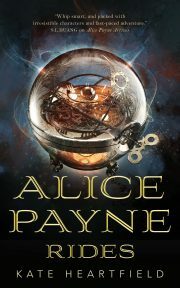 His latest novel for adults is Rapture of the Nerds, written with Charles Stross and published in 2012. His New York Times Bestseller Little Brother was published in 2008. A sequel, Homeland, was just published. His latest short story collection is With a Little Help, available in paperback, ebook, audiobook and limited edition hardcover. In 2011, Tachyon Books published a collection of his essays, called Context: Further Selected Essays on Productivity, Creativity, Parenting, and Politics in the 21st Century (with an introduction by Tim O’Reilly) and IDW published a collection of comic books inspired by his short fiction called Cory Doctorow’s Futuristic Tales of the Here and Now. The Great Big Beautiful Tomorrow, a PM Press Outspoken Authors chapbook, was also published in 2011. He co-founded the open source peer-to-peer software company OpenCola, sold to OpenText, Inc in 2003, and presently serves on the boards and advisory boards of the Participatory Culture Foundation, the Clarion Foundation, The Glenn Gould Foundation, and the Chabot Space & Science Center’s SpaceTime project. In 2007, Entertainment Weekly called him, “The William Gibson of his generation.” He was also named one of Forbes Magazine’s 2007/8/9/10 Web Celebrities, and one of the World Economic Forum’s Young Global Leaders for 2007. Born in Toronto, Canada, he now lives in London. The Gunn Lecture, endowed by Dr. Richard W. Gunn, James Gunn‘s brother, has featured several science-fiction scholars. Although it has also sponsored speakers on Shakespeare and Ralph Ellison, it often brings distinguished science-fiction scholars to the campus beginning with scholar Fredric Jameson, William A. Lane Professor at Duke University; and continuing with Bill Brown, Edgar Carson Waller Professor at the University of Chicago; China Miéville, British author of what has become known as the New Weird; and Nöel Sturgeon, Theodore Sturgeon’s daughter and trustee of his literary estate, Professor of Critical Cultures, Gender, and Race Studies at Washington State University, and juror on the Theodore Sturgeon Memorial Award. The Center also recently co-sponsored a visit from Michael Chabon, prize-winning author and editor. KU Calendar news item here. Cath Schaff-Stump writes speculative fiction for children and adults from humor to horror. 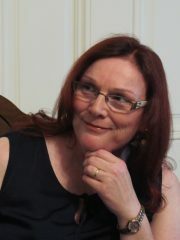 You can find her at Facebook, Goodreads, Amazon, @cathschaffstump, cathschaffstump.com, and unreliablenarrators.net.